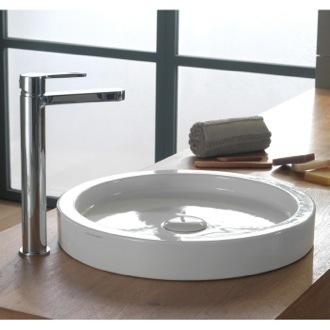 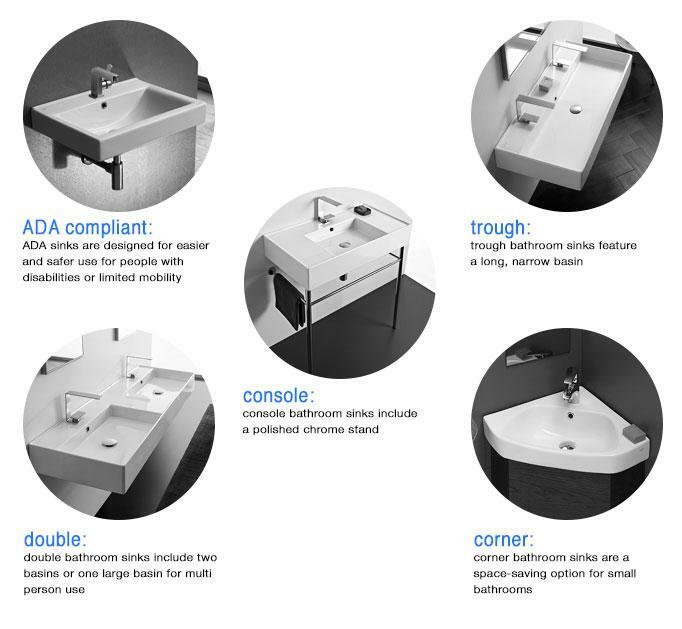 Shop our selection of small bathroom sinks and get FREE shipping on all orders over $99! 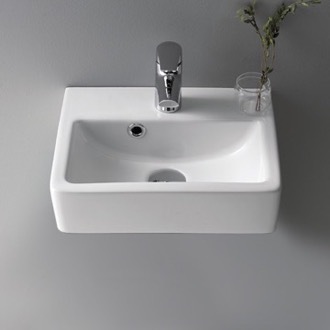 What are some unique, small bathroom sink designs for my tiny powder room? 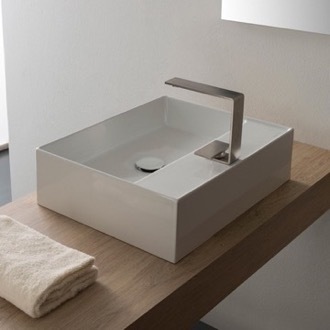 So you're remodeling your bathroom and need a mini sink for your extra small bathroom? 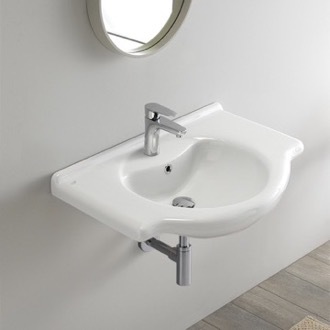 Not a problem, there's plenty of solutions for the even the smallest of spaces! 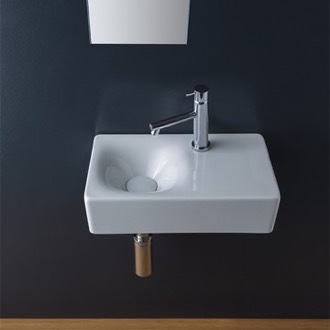 For powder rooms or guest bathrooms, wall hung and corner sinks usually do the trick and keep some free space for your toilet and other fixtures. 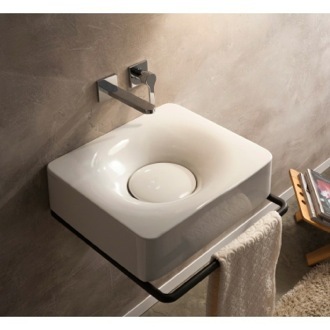 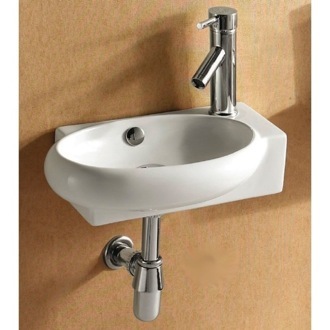 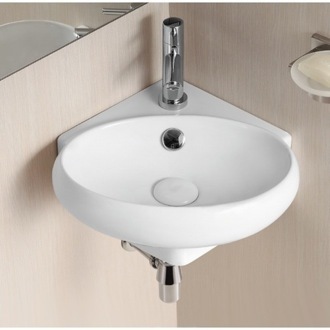 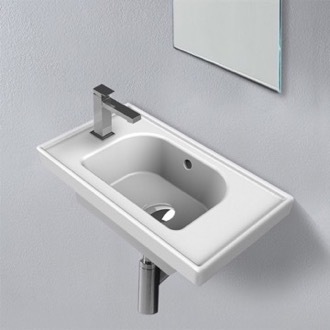 Because of how little space small corner bathroom sinks actually use up, corner sinks are becoming very popular. 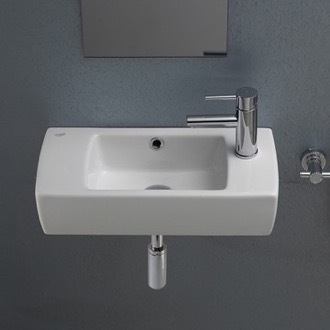 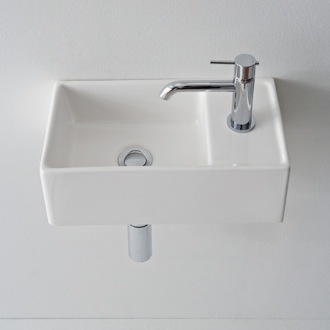 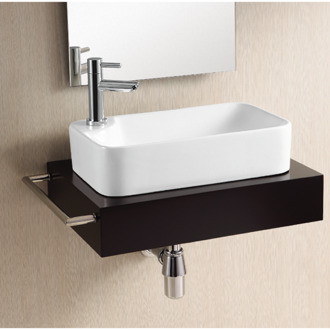 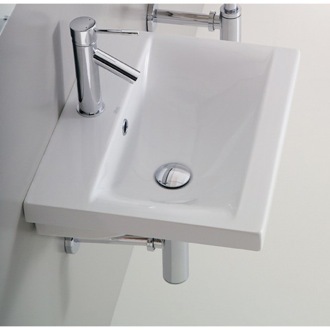 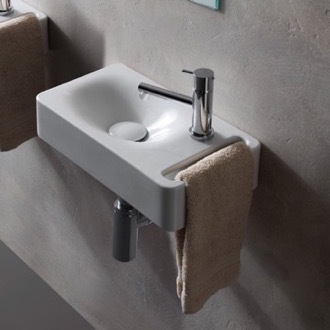 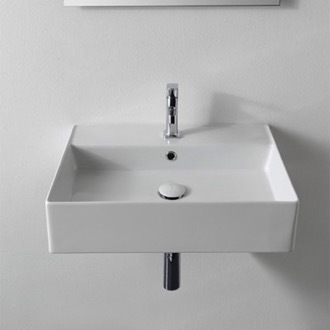 Even better, corner sinks can be installed directly to a wall as a floating sink or mounted on top of a vanity as a vessel sink or drop in sink. 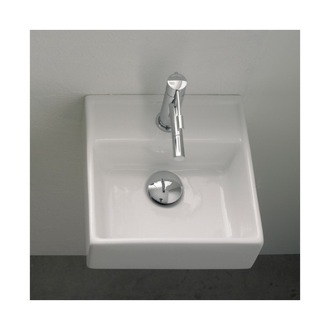 You can find corner bathroom sinks here. 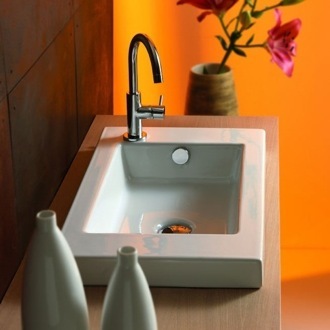 If you're looking for something more rectangular in shape, choose a narrow sink with thin, squared edges. 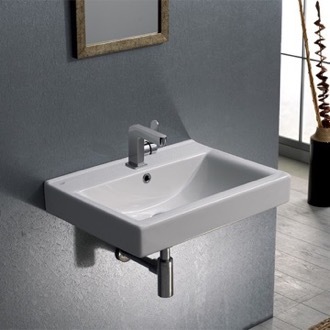 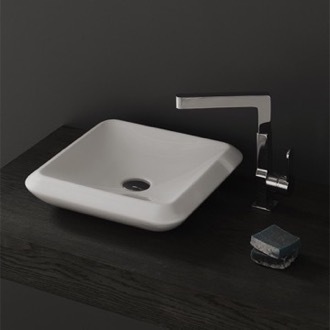 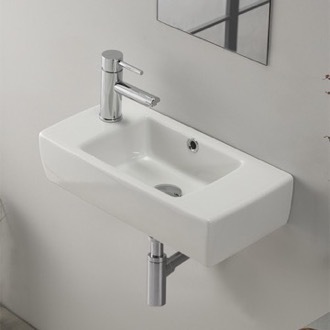 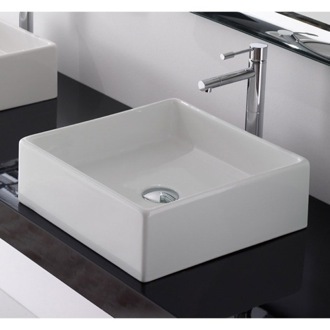 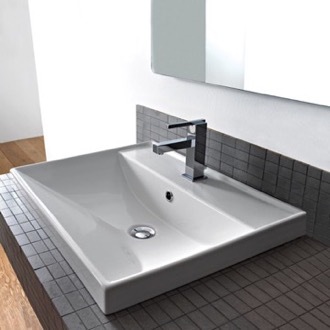 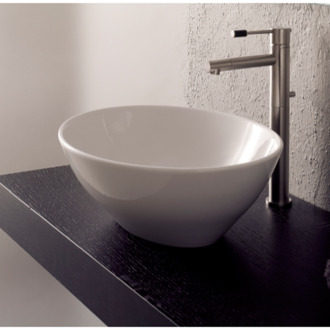 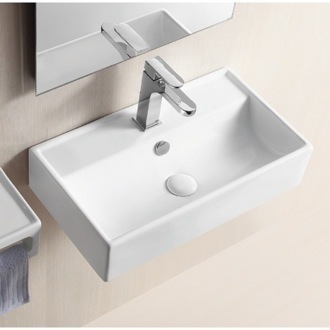 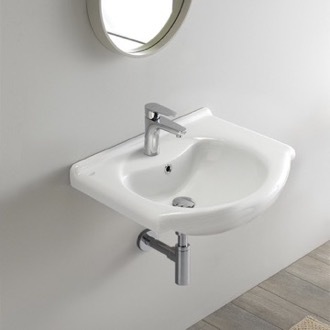 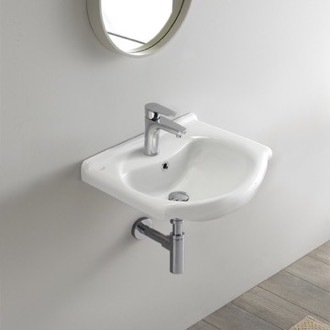 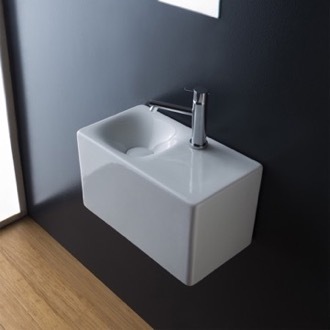 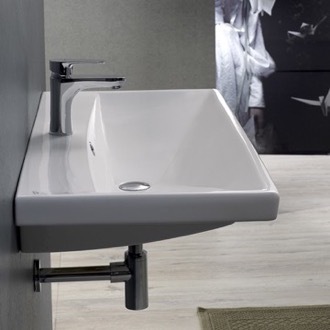 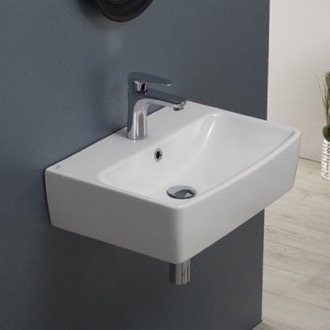 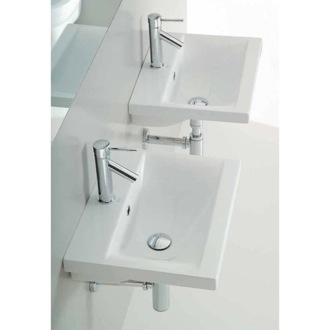 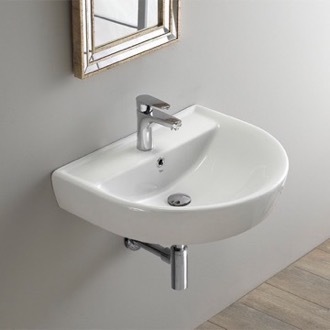 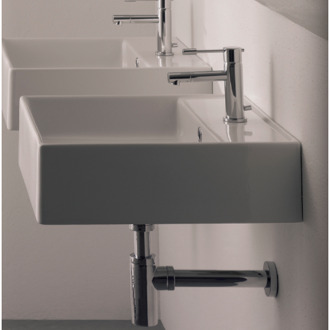 As porcelain and ceramic sinks get stronger and more durable, sinks are being designed with thinner edges, and as a result they are perfect for small spaces and also look more modern and contemporary. 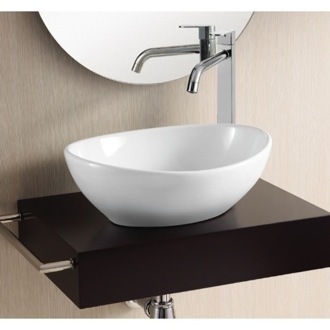 Other options include small pedestal sinks. 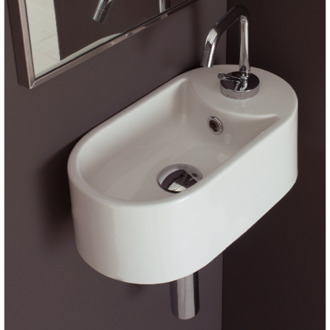 What's great about small sinks is that the prices are usually affordable and can fit any budget. 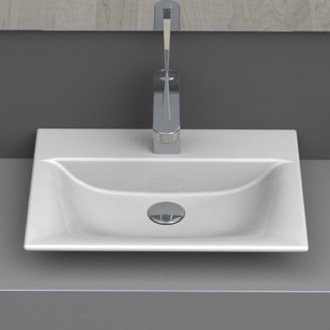 Also, if you shop online you will be able to sort through the different small sink ideas, find them on sale, and read reviews on products to make best choice for your home before you buy. 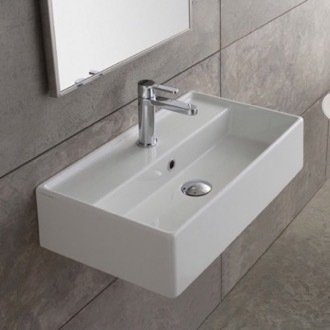 What are some small double sink options for a him & her master bathroom? 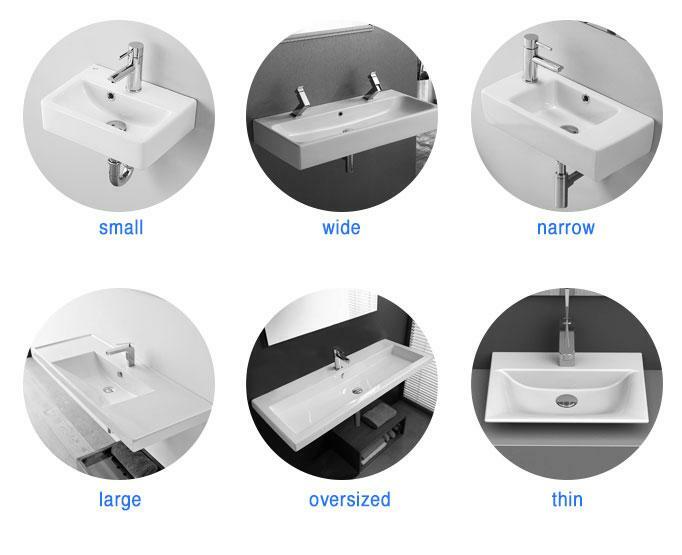 It really depends on how much space you have. 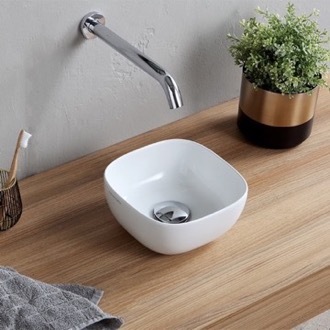 If you have room for a vanity and/or countertop, then your best bet is to install two small vessel sinks, each with their own faucet, on the right and left side of the counter. 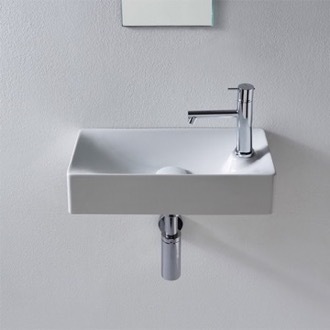 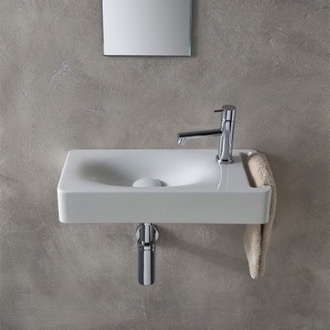 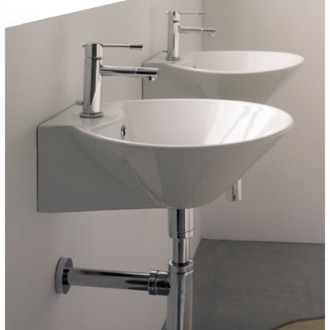 Regardless of whether you choose two separate sinks or a double vessel sink or even a small trough sink, you can save extra space by mounting the faucets to the wall, allowing you to push the sink back really close to the wall (this works if your vanity depth is narrow). 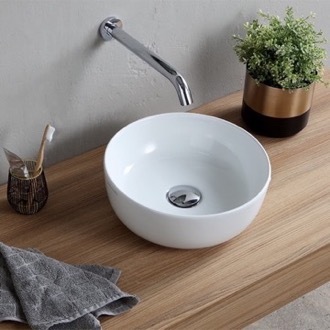 Vessel sinks come in many shapes, but a small oval sink (or a round/circle one) would probably be best in this circumstance. 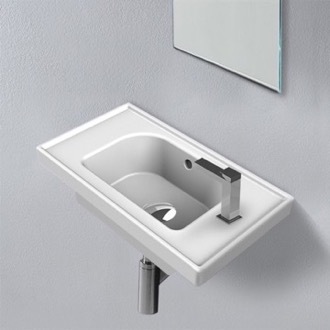 Another option would be to install two small wall mount sinks side by side, or a double wall mount sink with two faucet holes. 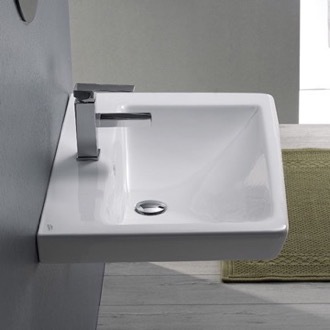 Keep in mind when designing your small master bathroom, the depth of the sink is just as important as the length of it -- because you can conserve space both ways. 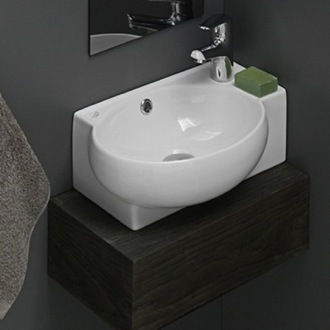 What are some tips on bathroom storage options for small bathroom spaces? 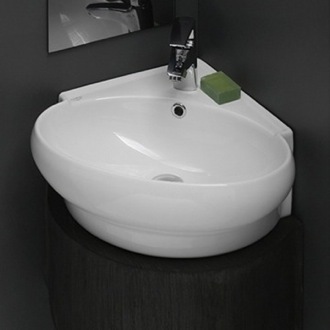 Pick a narrow depth, small bathroom vanity cabinet with a couple of doors or drawers and some shelves inside. 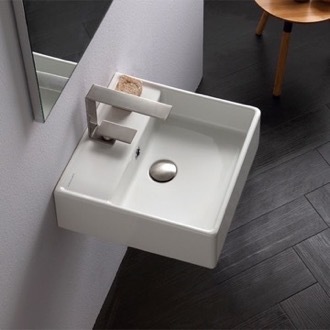 In this scenario, you will need a countertop that allows for undermount sinks or bowl vessel sinks to be installed on top.